Summer has arrived and the hot midday sun is blaring down. His Royal Highness, Prince William Arthur Philip Louis of Wales, the Duke of Cambridge, Baron of Strathearn, and Baron Carrickfergus was in Jerusalem. The first British royal making an official trip to Israel, HRH made a stop at Beit Hanasi, the Israeli President’s Residence. 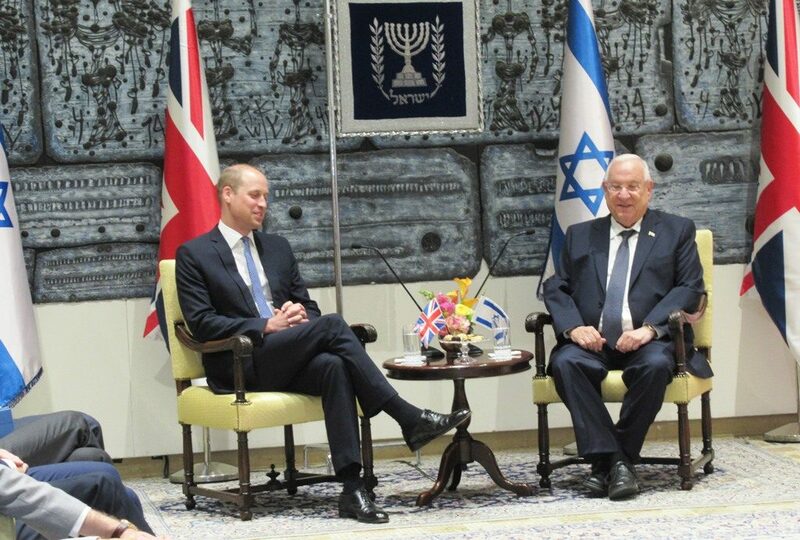 HRH has one very long name, and he appeared very tall when standing next to Israel’s Prime Minister. Sitting next to the President, we can conclude, that besides a long name, Prince William also has long legs. The end-of-school-year graduations and performances were too numerous to follow this week. Many families were running from one performance to another stage and then to another end-of-year event, with no end in sight. 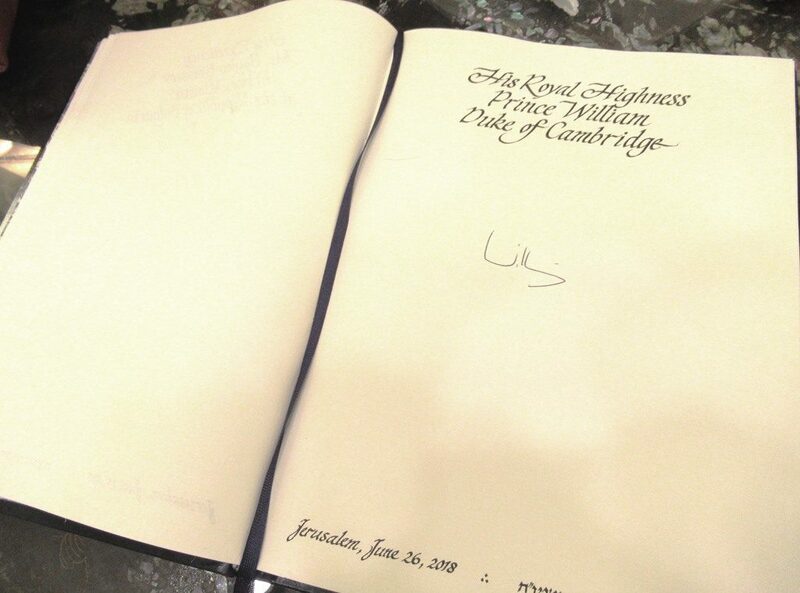 However, one event was bigger than a glimpse at a future king or a school musical. 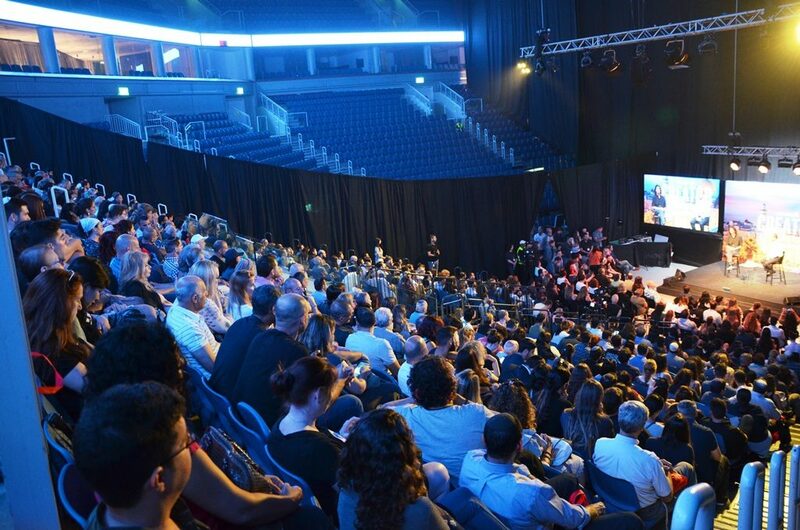 Thousands of people came from around Israel to attend a heavily promoted event at the Jerusalem Pais Arena. It was my first time back in the massive building since it opened in 2014. 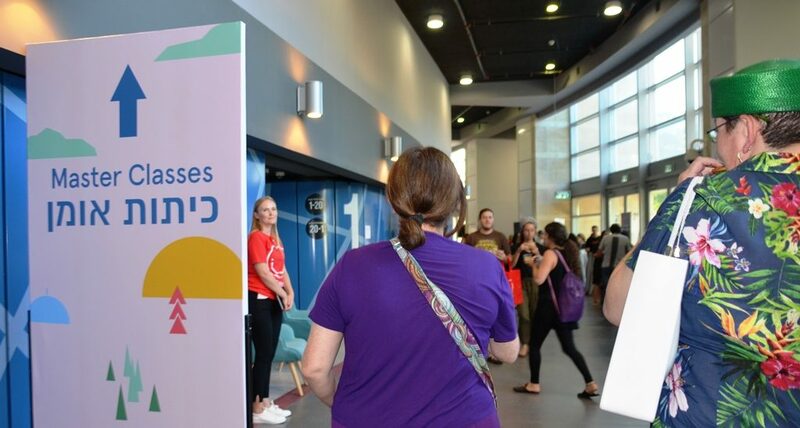 The halls were filled with food, from meat-filled pita sandwiches to gluten free dinners, plus wine and beer and more, all at no cost to those who registered in advance. Entrance was free too. One problem was getting to those Master Classes with your hands full of food, which made it difficult to navigate the crowded halls. 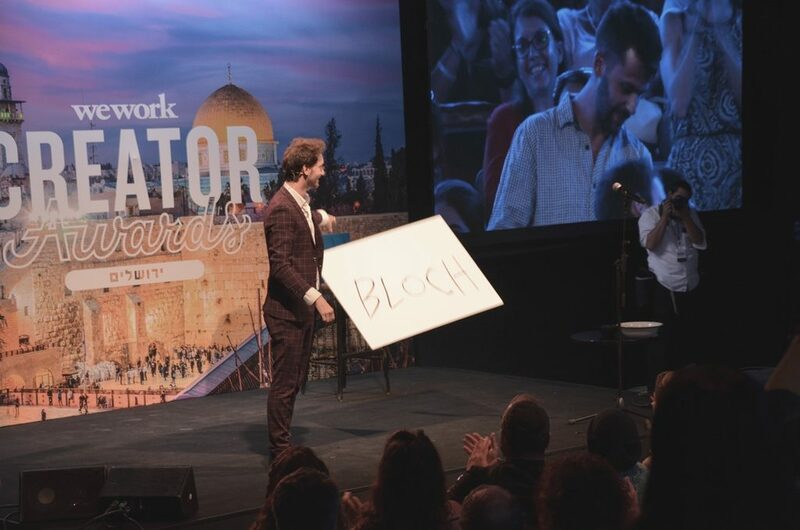 Israeli mentalist Lior Suchard performed at the first Master Class to a full audience. Doors were shut when seats were filled. There must have been tens of thousands of selfies taken by the 5,000 participants. 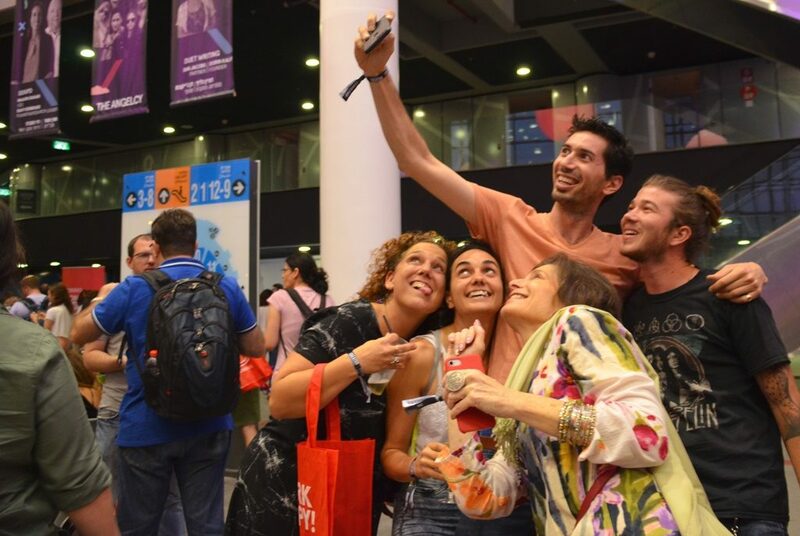 I think that this was the biggest Israeli networking event held in Jerusalem. 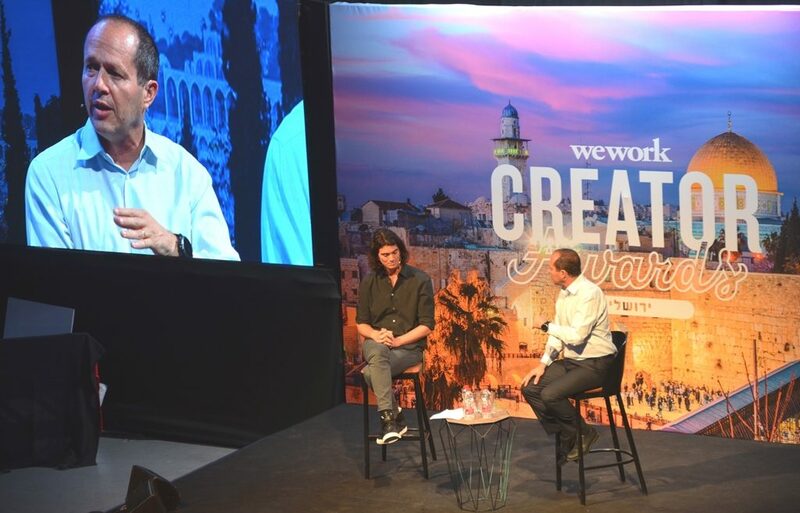 Jerusalem Mayor Nir Barkat with Adam Neumann CEO of WeWork presented the second Master Class. From the top of the theater area for Master Class, you can see size of audience. Look at the top left and you can see the Arena’s VIP boxes and empty seats. This small theater was created by the black cloth partition you see at the left. The arena can seat over 11,000 people. Adam Nuemann on main stage, with sister Adi who acted as MC, hosted almost half that number. 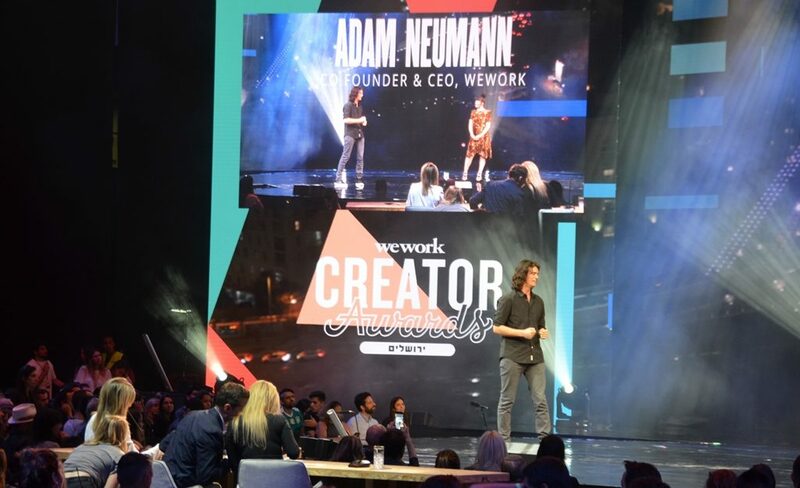 Finalists in the WeWork Creator Awards appeared on stage after presenting their startup innovations. 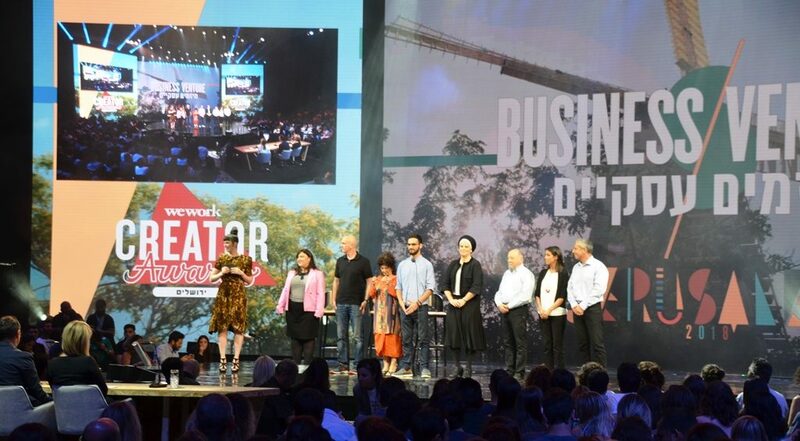 Winner Yehudit Abrams, the creator of MonitHer, won the first-place cash award in this regional competition and the chance to present in New York. Her hand-held ultrasound device could save lives by enabling early breast cancer detection. But that was not all. 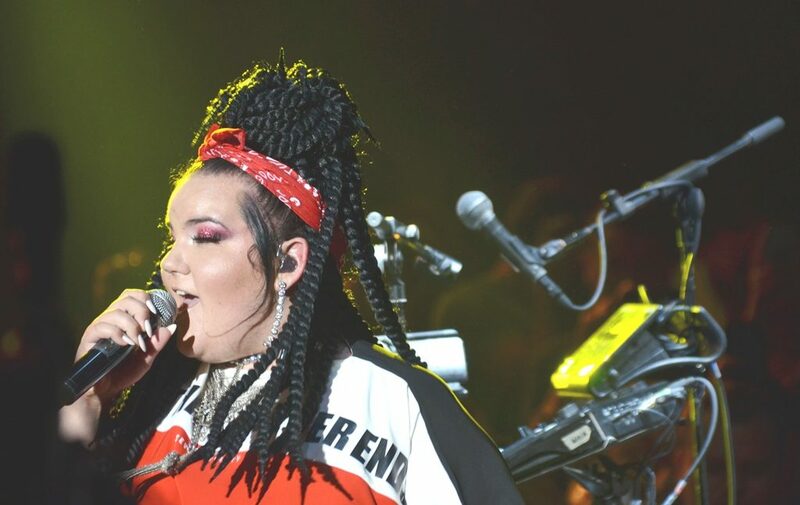 After $770,000 was given away to the winners, the audience which was already on its feet never sat down as Netta, Israeli Eurovision winner, performed. 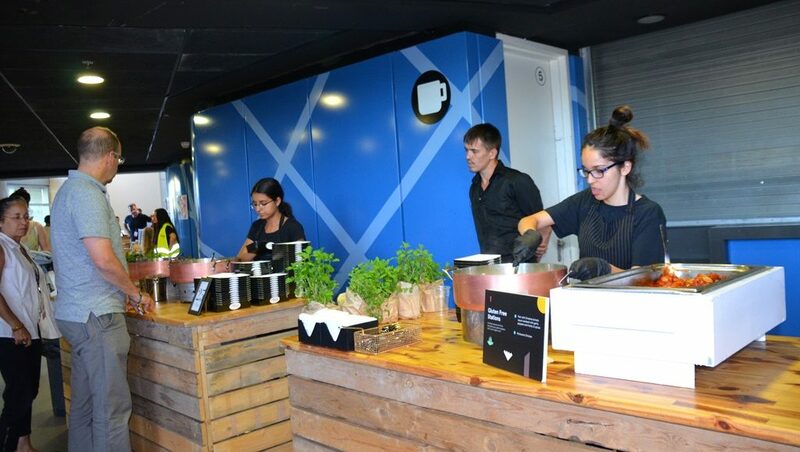 Meanwhile, Jerusalem WeWork is to open in October. This was how it looked this week. 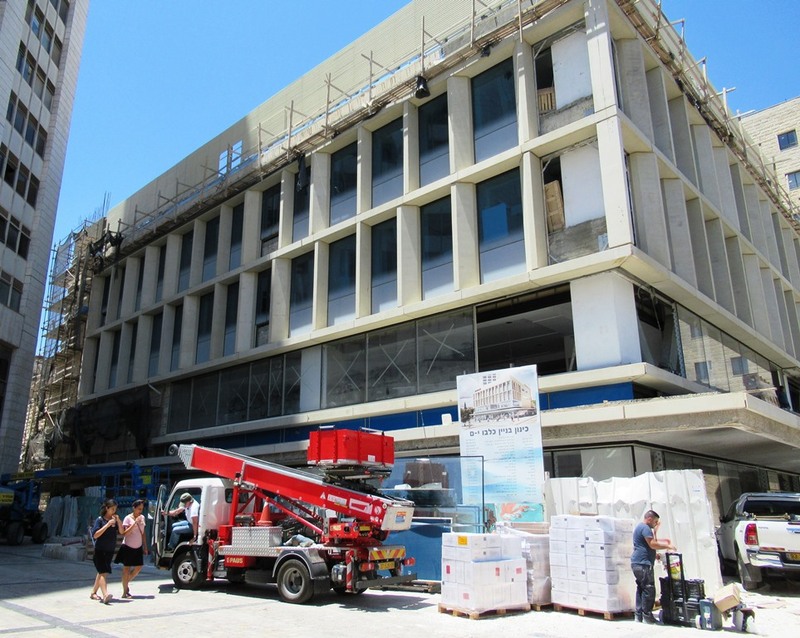 For more than two years, we have been following progress on Jerusalem building. I hope it is not like the fast train opening, constantly postponed. Worn out from so much happening? 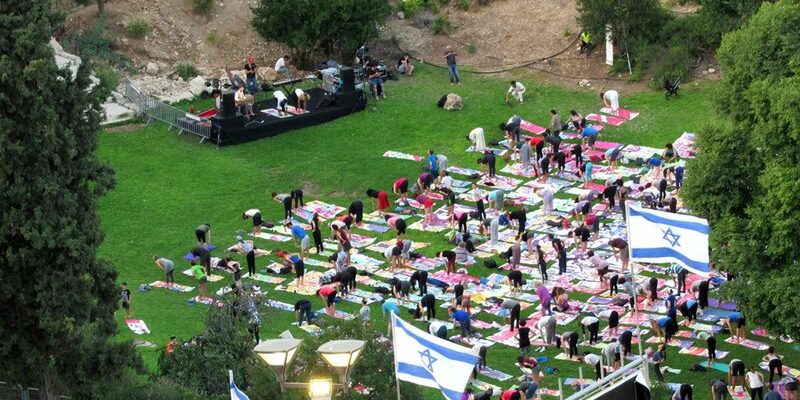 Jerusalem event for International Yoga Day: “The Big Picture” was held in Hinnom Valley. And finally, for football (soccer) fans, the World Cup games, Mondiale Mania, continues. 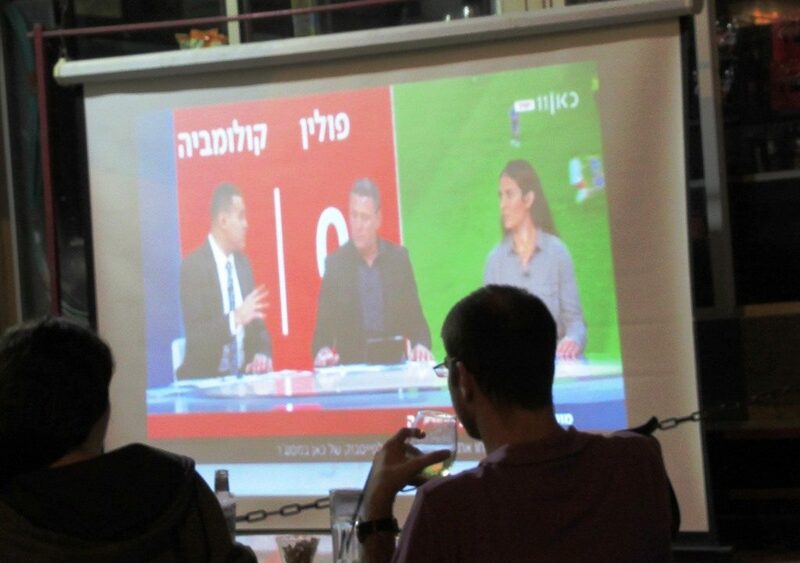 Outdoor Jerusalem cafes are filled with viewers well into the night. Another week with so much happening on the Jerusalem streets. 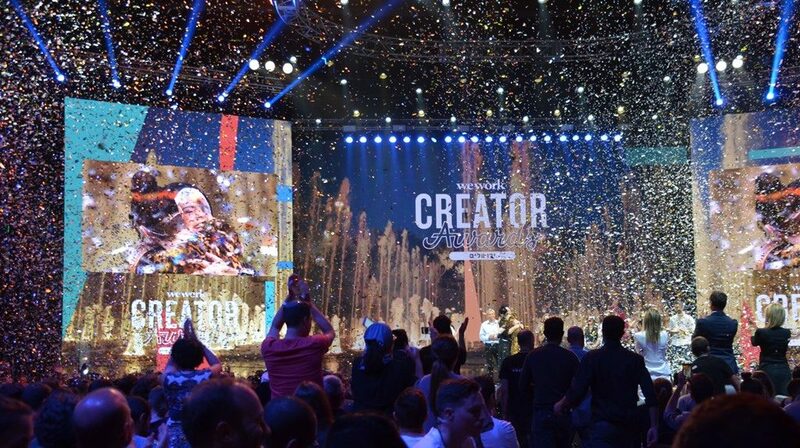 Entering the Creator Awards competition was simple. Just apply online by submitting a minute and half long video. This was my video, one of 1,300 submissions.